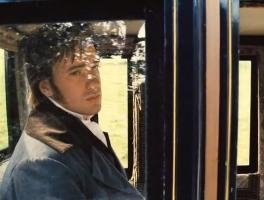 Pride and Prejudice is a Film programme that first aired in 2005 and has been classified a U certificate. Jane Austen's classic tale of love and values unfolds in the class-conscious England of the late 18th century. The five Bennet sisters - including strong-willed Elizabeth and young Lydia - have been raised by their mother with one purpose in life: finding a husband. When a wealthy bachelor takes up residence in a nearby mansion, the Bennets are abuzz. 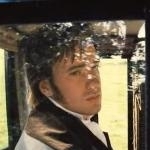 Surely there will be no shortage of suitors for the Bennet sisters amongst this man's sophisticated circle of friends? But when Elizabeth suddenly finds herself falling for the handsome and unbearably proud Mr. Darcy, a tempestuous yet wonderful love story unfolds. This classic love story is beautifully re-worked with an all star cast including; Keira Knightley (pictured) as Lizzie; Donald Sutherland as Mr Bennett; Brenda Blethyn as Mrs. Bennet and Matthew Macfadyen as the dark and brooding Mr. Darcy.